So the mini has now left us, but here is a write up from before it left about the awesome audio system in the car. We still have the audio and it will be featured in another SIC car very soon, but until then here is what we did with it last time. The source unit we chose for the car was an iPad mini. 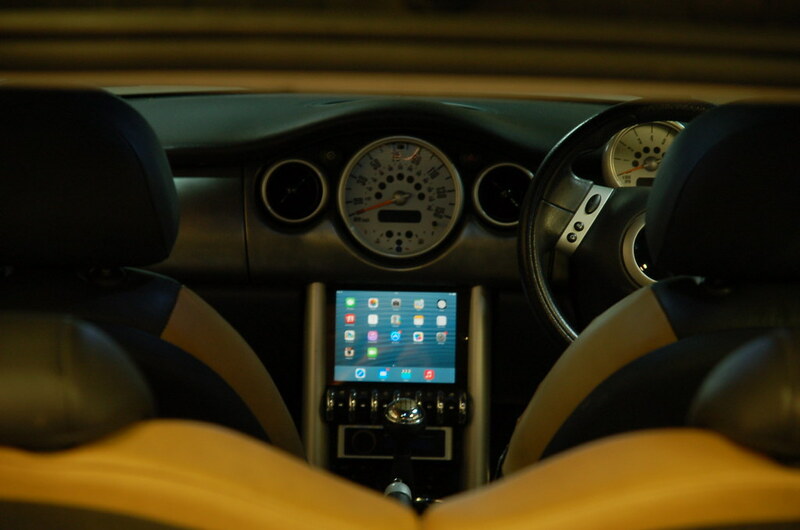 With the features it has there was no doubting it was right for our demo car (all you audiophiles out there don’t worry there is the facility to put a head unit in if the time calls for it ) As with all of our iPad installs the Mini is run fully digital. So out of the iPad into a box of tricks then to the processor all digital. We often get asked by customers why we do it this way as it is a more expensive option. The reason for this is simple iDevices have built in Eq’s as they are aimed at a mobile market. 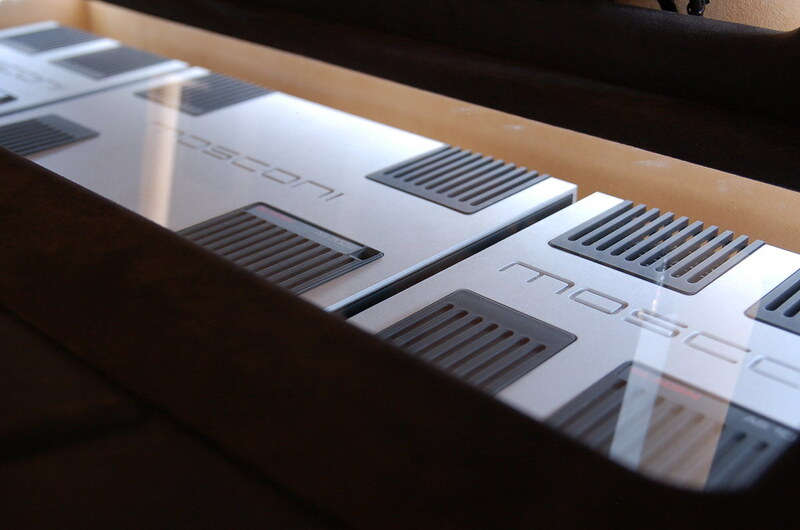 This Eq setup is tailored for small in and over ear headphones. By using a processor and running digitally we can extract the audio data from the iDevice bypassing this Eq and then we can put our own on to compensate for any peaks through the compression of the music files. 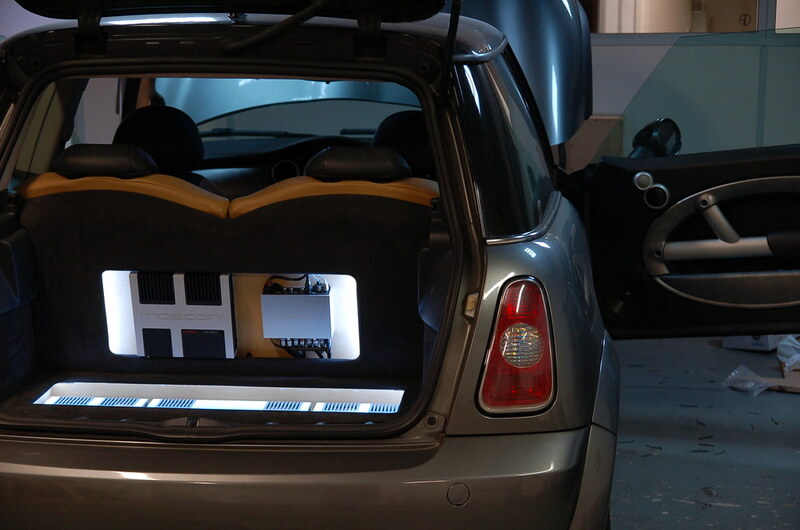 To fit the iPad where we wanted it we had to relocate the Mini’s heater controls. They are now just behind the cup holders in front of the center console. The iPad has then been placed in a central location between the 2 dash bars. It looks like a permanent mount but is removable within minutes. 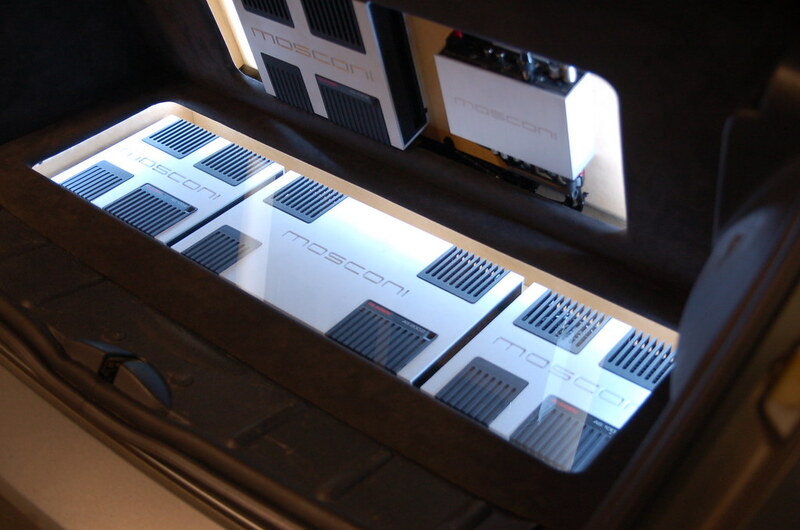 Our last demo car had a full top line install using Audison products, we know these products inside out and have used them in a fair few of our builds. With the purpose of this Mini being to try our new equipment and bring you reviews a Mosconi / Gladen system was ordered up for this incarnation of the build. Sub-woofer, Presets, Balance, Fader, Mute, Volume, and brightness control. With all these features we can use any amplifier setups. The system has been setup currently to be a fully active 7 channel. With the processor control this can be changed to a 5 channel active at any point should We have a customer who would like to hear it. The front end in this car (another UK first) is the Gladen Areospace 165.3. We have changed the configuration as these car be purchased as separate units. We went for the 2 way kit and then added the Mid range. This again gives us the opportunity to run the system with a 2 way front end should we need to. 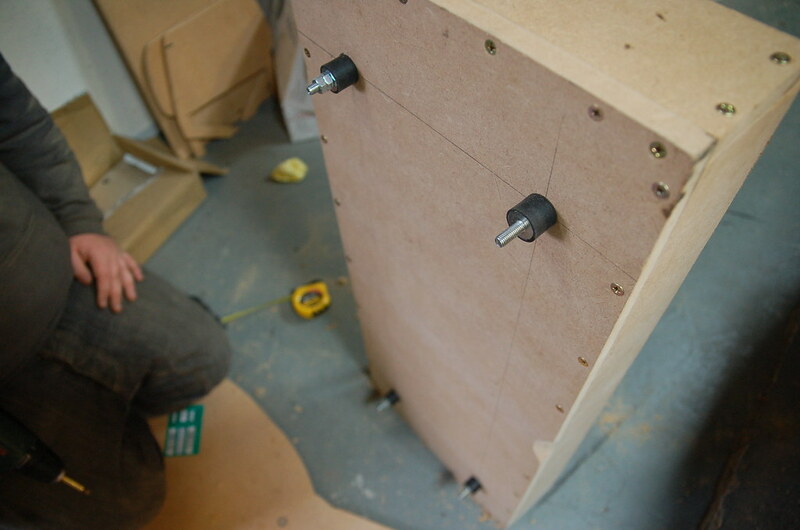 The Mid-range and tweeters have been placed up on the pillars to aid with staging and tone. They have been built so they can accept most of the tweeter and mid-range combinations out there at the moment. 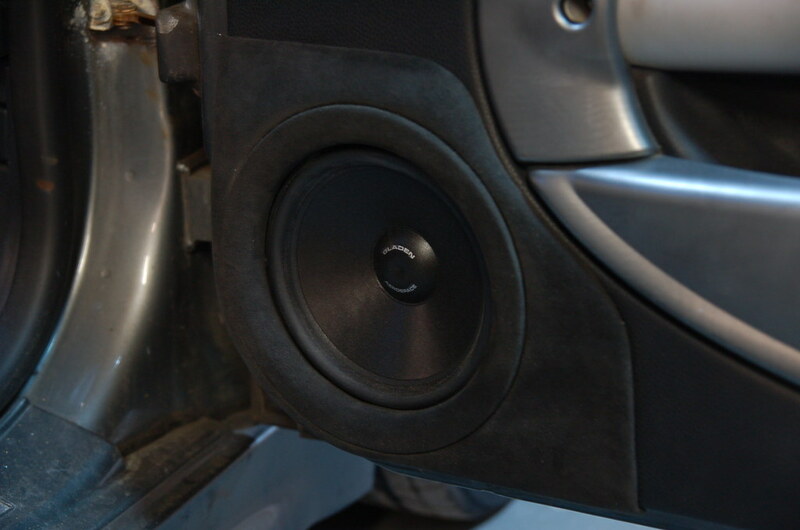 With machined metal spacer rings for the tweeters, and a large mid-range cup. The builds have been trimmed in a light cream to match the cars original pillars. 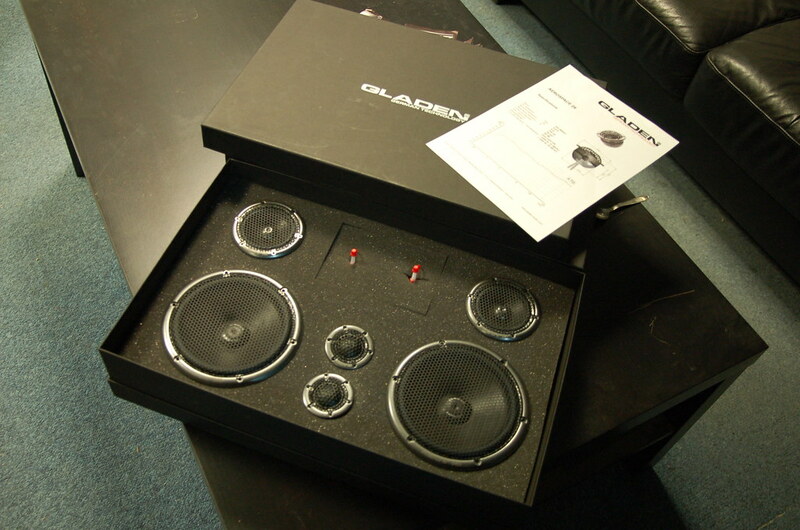 There is an interchangeable ring arrangement for the mid-bass’ in the doors. Mounted to the door skin is a 18mm baffle with machine bolt fixings. 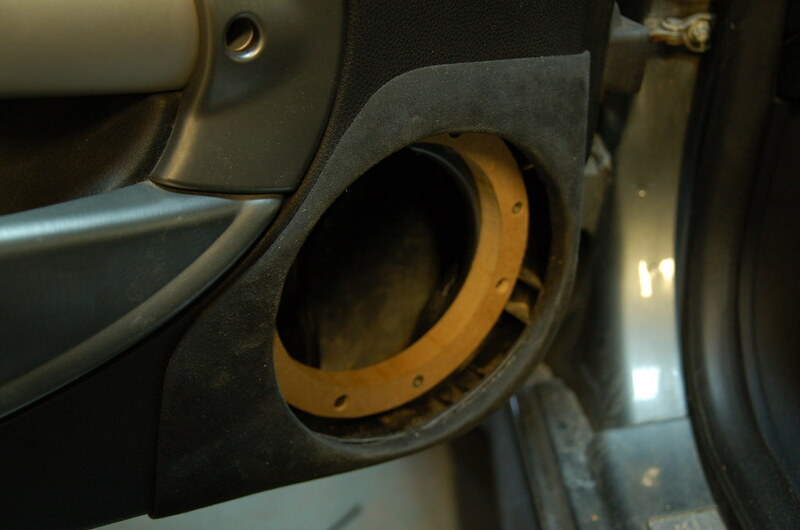 Then we have a stock of 18mm rings that we can mount different speakers too and then fix to the door with machine bolts. The door has had an over-layed build with a push in trim ring again to allow us to swap out the speakers in minimal time. These have been trimmed in charcoal Alcantara. They have to work for us and look good at the same time. Should we ever wish to compete in a SQ competitions with the car we can also add a grill into the build. 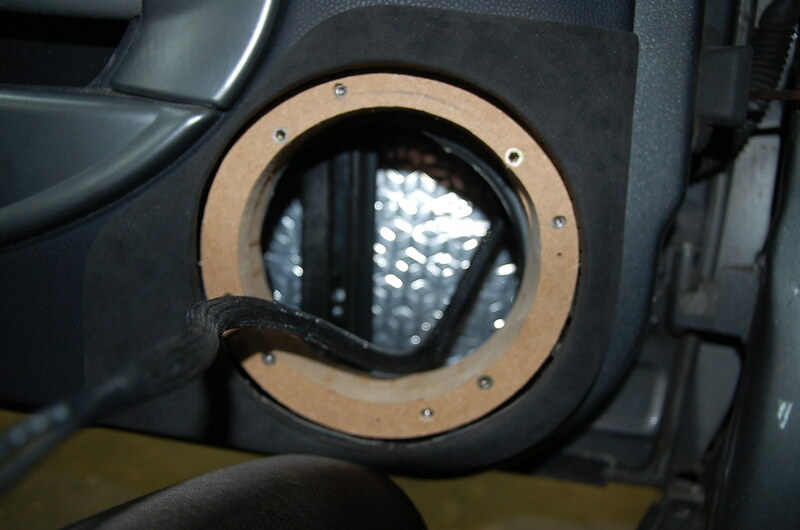 The Sub-woofer has been placed in the passenger foot well. There s surprisingly a lot of room in there for such a small car. 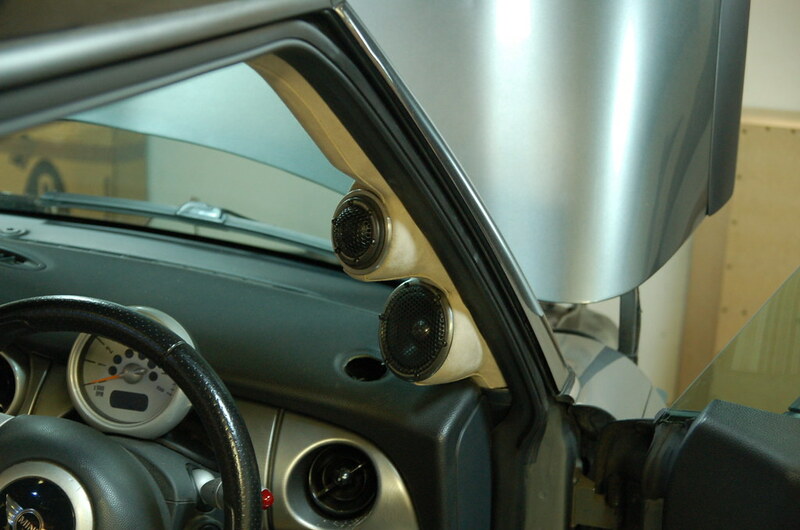 It has been built to test SQ based 10″ subs. Fiberglass rear construction with a wooden front then fully sealed with a mix of filler, resin, and fiberglass (milkshake). then to tie it in with the rest of the build an Alcantara front panel. 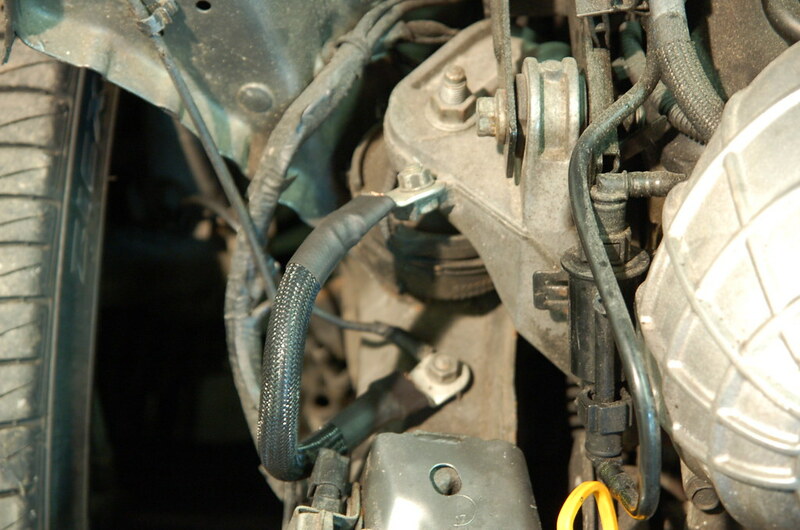 Currently the car is running a Gladen Zero Pro 10″. Which we will review shortly. 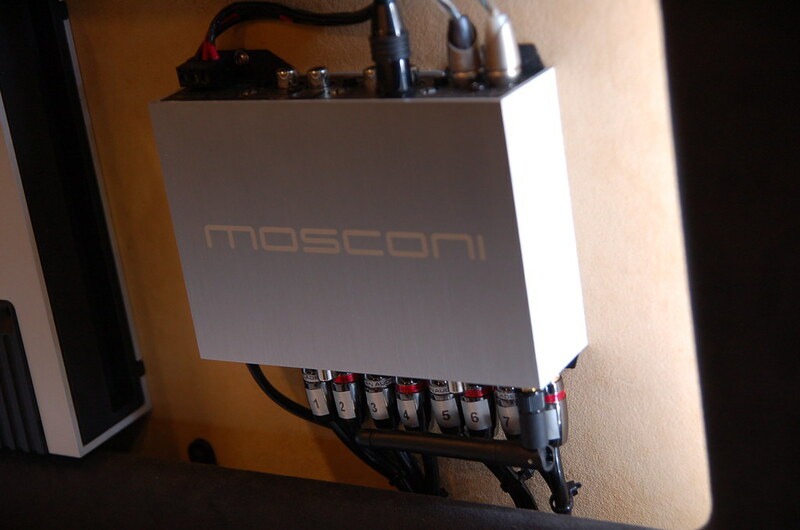 The car is currently using 4 amplifiers from the Mosconi AS range. 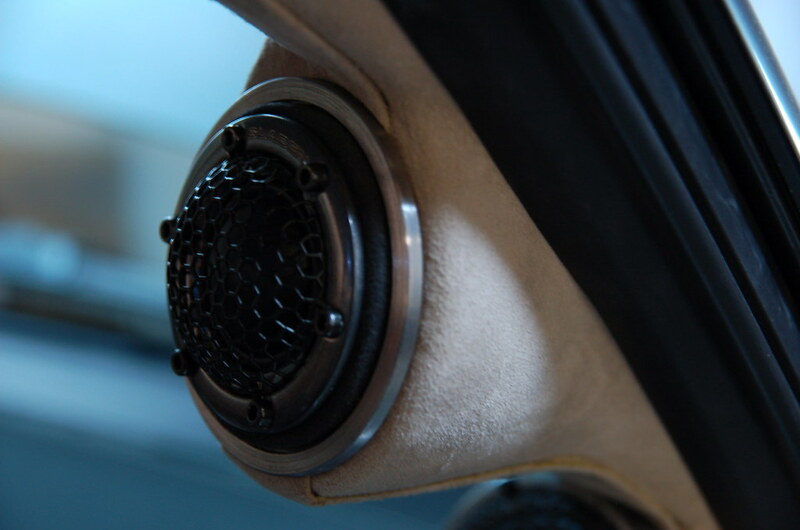 Each pair of front end speakers has a 100.2 powering them and the sub-woofer has a 200.2 bridged. 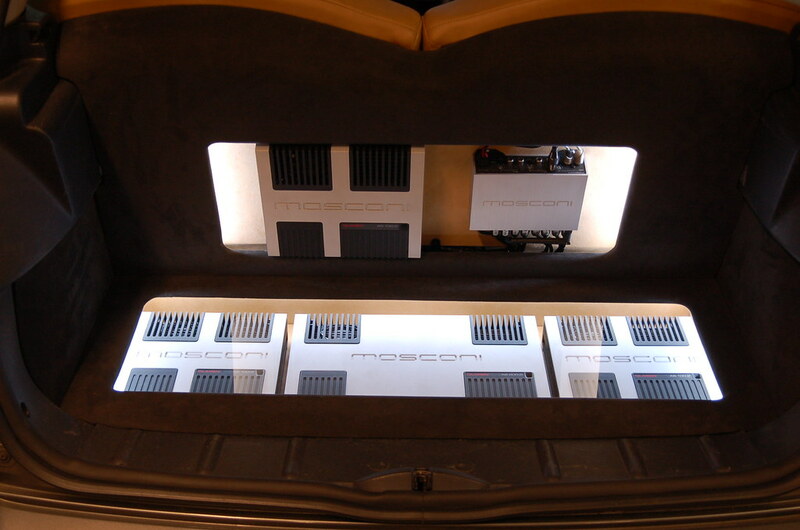 There is loads of head room in the system giving the speakers all the power they could ever want. Both racks have been trimmed in both charcoal and colour matched Alcantara to tie them into the interior, and lit to show off all the equipment. 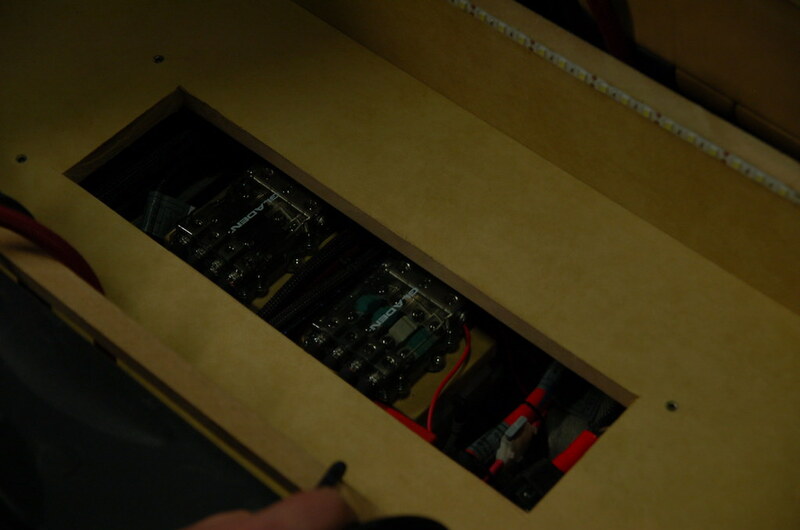 Under the lower rack is full power distribution setup using 2 Gladen 4 way fuse holders one for fusing and the pother with buzz bars for the earthing. 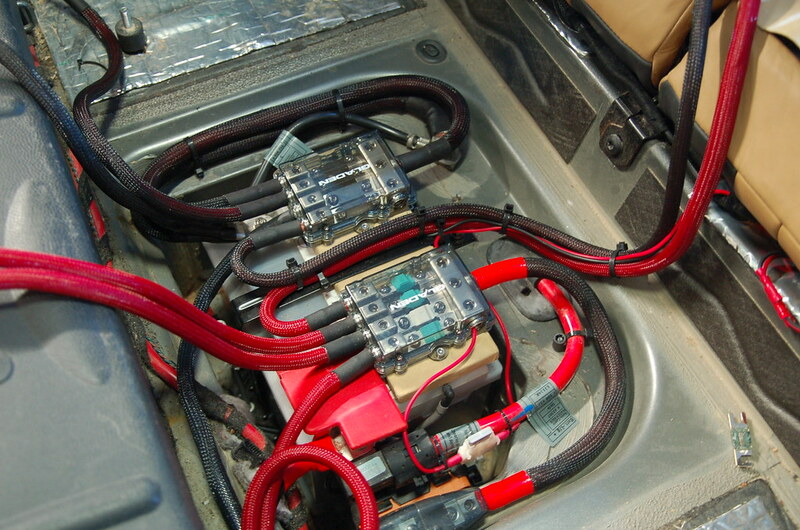 All the cabling throughout the car is full braided and heat shrunk for identification and protection. So there we have our little modular project. Expect to see some reviews coming up of the equipment currently in the car and then more to follow when we start swapping it out for testing. 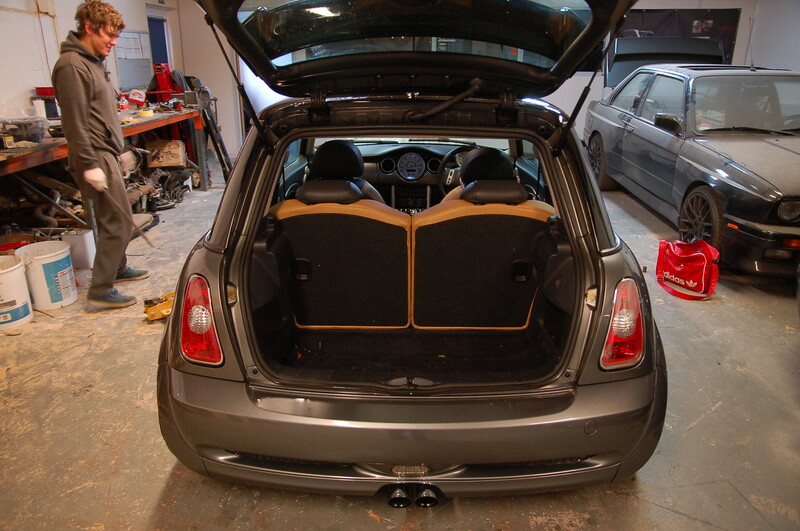 Here are a few more pics of the Mini and some showing the mounting’s for quick change.